Renowned author Henri Nouwen offers a welcome message for our chaotic times: "Come home to God, and you will no longer feel like a stranger to yourself or the world." Nouwen, a beloved pastor and teacher who authored more than 40 books, had an unusual ability to help readers see the simplicity and beauty of the spiritual life. The deep wisdom and sensitivity that shine forth in his writing encourage people to move closer to the heart of God and dwell in the knowledge of God's love. 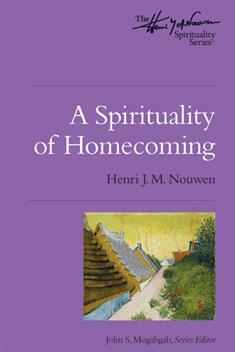 A Spirituality of Homecoming makes an excellent study for Lent but can also be used anytime by individuals or groups wanting a deeper understanding of discipleship.